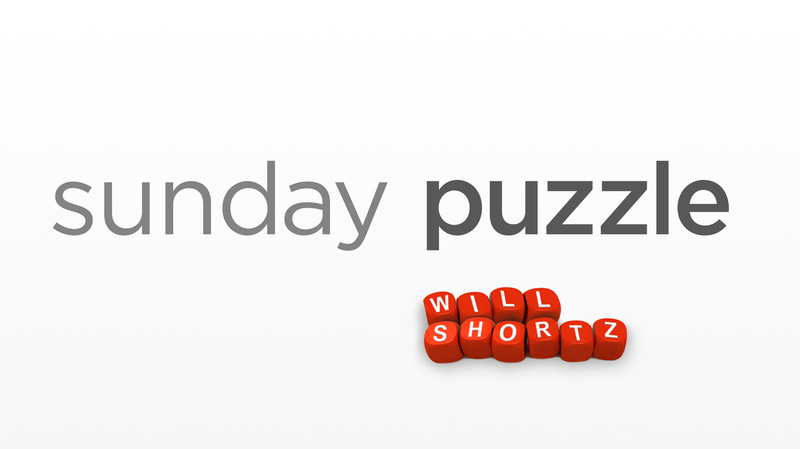 Sunday Puzzle: You're Halfway There NPR's Lulu Garcia-Navarro plays this week's puzzle with puzzlemaster Will Shortz with Jeff Selleck of Alpine, Wyo. On-air challenge: The answer to each puzzle is a compound word or familiar two word phrase, in which the first part has a long "I" sound and the second part has a long "E" sound. 1. A dish that's "à la mode" comes with what? 4. Home plate umpire's call immediately before "You're out!" 11. Colorado summit that completes the phrase "___ or Bust!" Last week's challenge: Make a 9-letter word meaning "left" using only a B and one D.
Winner: Jeff Selleck of Alpine, Wyo. This week's challenge: This challenge comes from listener Steve Baggish of Arlington, Mass. Take the name of a classic song that became the signature song of the artist who performed it. It has two words; five letters in the first, three letters in the second. The letters can be rearranged to spell two new words. One is a feeling. The other is an expression of that feeling. What song is it? If you know the answer to next week's challenge, submit it here. Listeners who submit correct answers win a chance to play the on-air puzzle. Important: Include a phone number where we can reach you by Thursday, Jan. 24 at 3 p.m. ET.